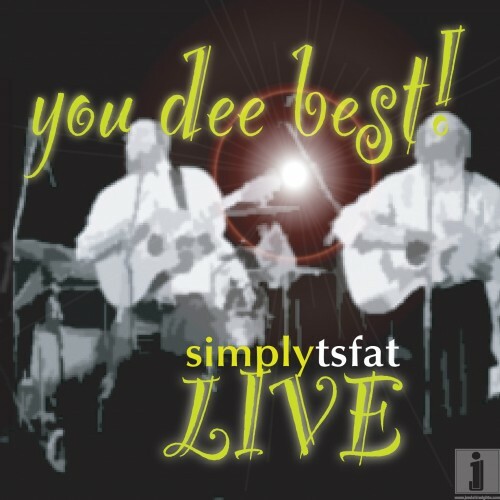 Simply Tsfat with a ALL NEW Live album – you dee best! 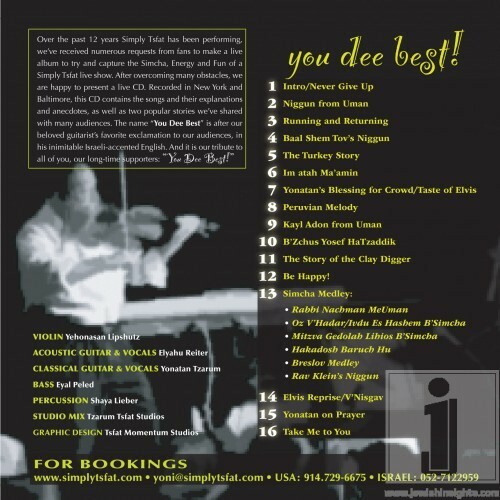 This all NEW Simply Tsfat album is a live concert recorded from 2 shows, Baltimore & NY from about 3 years ago. The title “You Dee Best” comes from Yonatan calling out to the audience in his Hebrew accented English”You Dee Best”. Of the 15 tracks, 2 are stories. Many fans over the past 12 years have requested to have some of the many stories on a CD, so this is for you. Compared to their studio CDs, the live CD captures the energy of our events, with humorous and anecdotal comments. The album is available right now online for purchase on iTunes and hopefully will be in stores shortly. Meanwhile enjoy the a little taste of the album below.